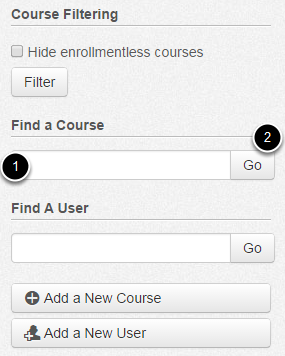 You can manually find courses by going through the list of courses in the account, or you can use the Find a Course search box. Type name of the course in the course name field . Click the Go button . 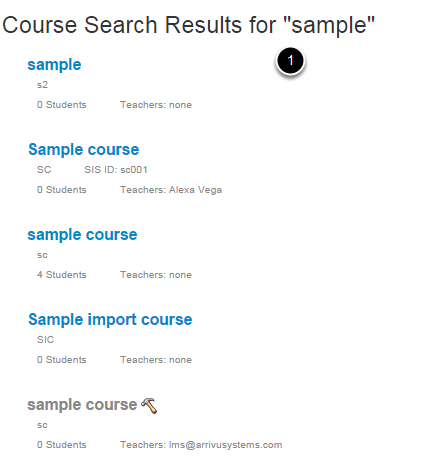 Note: You cannot search for a course by the course ID number, only the course name. View the search results. Click the title of the course to open it .